Well, almost…Today, Nicholas completed the driving portion of Driver’s Education. School offices are closed on Fridays during the summer, so he has to wait until Monday to get the form he needs to go take the test to get his permit. I’m sure that’s what we will be doing bright and early Monday morning. 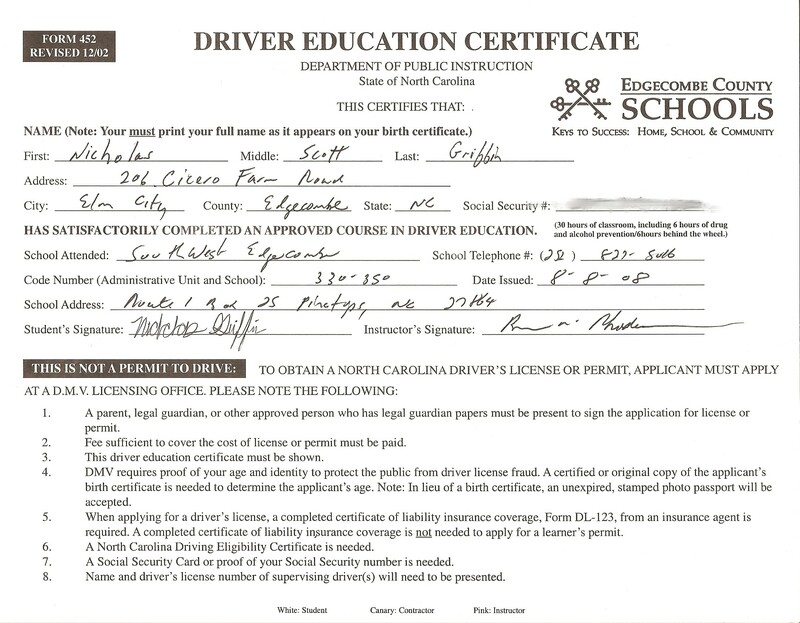 I remember that I failed my permit test because my Daddy took me and walked around me and stood over me the whole time – I was so nervous. I missed one question too many. Needless to say, my mama took me the second time. alex starts his driving portion today!! I”mmmmmmm nnnnnnoooottttt wwwooooorrrriiieeeddd. You will do fantastic. Just let me know what roads you will be on and I’ll stay off those. Ha. Ha. Got all the confidence in the world that you will do fine. LOOK OUT GIRL FRIENDS, NICHOLAS IS COMING TO TOWN. Way Go!!!! Maybe I can get GPA-TOM to bring home sports car that needs test drving. We can take pictures of dream vehicle with Nicholas behind the wheel. I still have Kim’s pictures taken in 280Z,she was so happy… LOVE you,enjoy these last few days of summer vacation! TAKE HIM TOMORROW!!! I MEAN WHAT ELSE DO YOU HAVE TO DO?? ?